Your eyes play an important role in defining your overall beauty. It is considered as the most beautiful part of our body and we often create more attractive eyes with the help of eyeliner. Eyeliner is something with which you can explore your eye look. Your eye beauty can’t be completed without eyeliner. 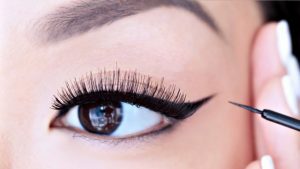 So, in this article we share some eyeliner mistakes that you need to avoid in order to achieve a perfect eye look. Liquid eyeliner gives your eyes a harsh and heavy look so instead of using liquid eyeliner you can opt eyeliner pencil to finish your eye look. Make sure that there should not be any gap between eyeliner and your lash line as it may give your eyes a tired look. 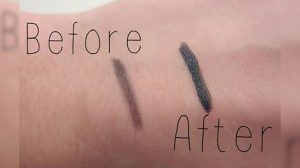 So, for a perfect and fresh eye look fill in the lash line gap completely. 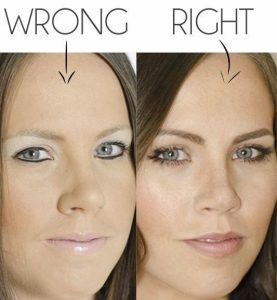 Learn the correct way to apply eyeliner before by simply following the steps shown in the picture as the wrong way can’t give you the desired look. 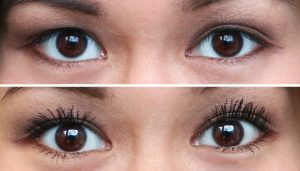 Use your eyelash curler before applying eyeliner as using curler after applying eyeliner could erase your eyeliner and makes your work hard. Blending the eyeliner is one of the most essential step for creating a perfect natural eye look. Avoid the use of dry eyeliners as it gives you a rough and smooth less finish and also appears too light. 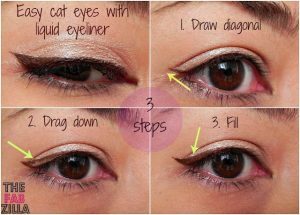 So, it is suggested to use a wet eyeliner for a smooth and bright look. Giving Your Eyes A panda Look. 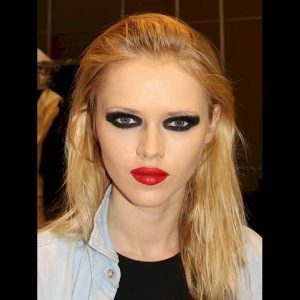 Stop the practice of applying eyeliner under your eyes in order to avoid the panda look. It gives you harsh and heavy look. Factors like humidity, rain, wind etc are considered to be the worst enemy of your eyeliner so in order to prevent your eyeliner from running down your face you need to apply primer before using eyeliner. 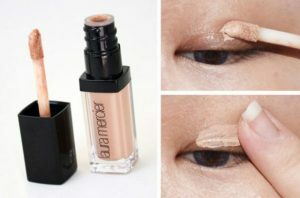 This will help your eyeliner to stay for long time.